Merri’s and my folks and family must often think we are “round the bend”. Every time we do something right and all seems perfect, we start looking form something new. Five years ago Merri and I made a huge shift in our business, lifestyle and savings, moving from Ecuador to Smalltown USA. I urged readers to consider why and perhaps take similar action. 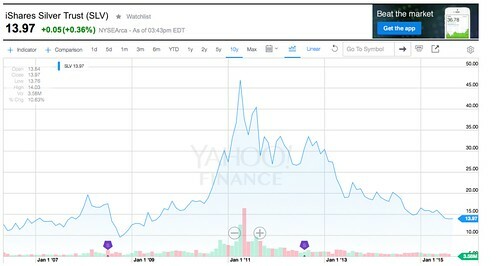 I wrote about this in a report entitled “Trading Down”. 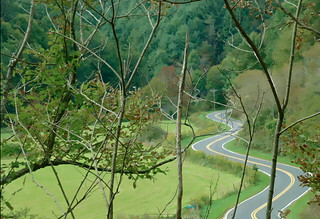 Road on the way to our North Carolina farm. The root of the coming change I expect is reflected in a Reuters article about “Davos & Inequality”. The article says: More than half the world’s wealth will be owned by just one percent of the population by next year as global inequality soars, anti-poverty charity Oxfam said on Monday. The charity’s executive director, Winnie Byanyima, who is co-chairing the World Economic Forum meeting in Davos, said an explosion in inequality was holding back the fight against poverty. “Do we really want to live in a world where the one percent own more than the rest of us combined?” she said. Oxfam said it would call for action to tackle rising inequality at the Davos meeting, which starts on Wednesday, including a crackdown on tax dodging by corporations and progress toward a global deal on climate change. The article stated that the richest 80 individuals had the same wealth as the poorest 50 percent of the global population. 44.5% of the wealth is owned by the next 20% of the population. That leaves the poorest 79 percent of the global population with just 5.5 percent of the world’s wealth. Along with environmental issues, this is one of humanity’s biggest problems. However, problems create opportunity. The root problem however is not the inequality of wealth. There are three deeper human issues that manifest from inequality. The first issue is the issue of fairness and how the richest people attain their wealth. The next issue has to do with what these rich do with that wealth. The third issue is about human perception and how the poor feel about the rich. Some wealthy people are inspirations. Take Warren Buffet as an example. He has made billions. The image he projects though is that he made his billions in a pretty honest way. (We have no way of really knowing but this is how it seems). He appears to live a relatively modest lifestyle and even his excesses (he originally named his private jet “The Indefensible”) create jobs. 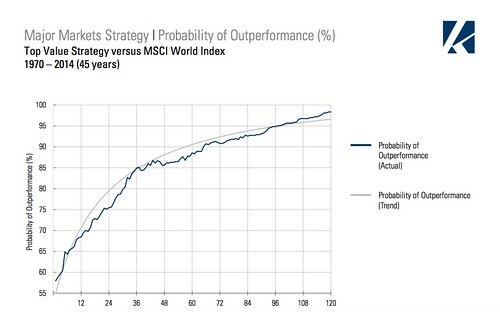 We can learn from Buffet how to create and have wealth in positive ways. His wealth can lead us to positive wealth rather than anger. Other rich people though are pretty nasty pieces of work, immoral, unethical and uncaring about the big picture. They create resentment, jealousy and outright anger. Plus unfortunately these ultra rich exert disproportionate influence on the politics that enrich them but negatively affect the majority. This a big problem and the richest few can no longer simply ignore the resentment of the less fortunate. Technology allows asymmetric warfare that can express anger in the form of local terror. Plus, as we have learned, if the plight of the poor leads to blight, like Ebola, technology makes it all too easy for problems of the poor to spread. The best thing that any of us can do is try to live in a positive, long term lifestyle that places us in the 1%, (or near). Rich inspirations will do more good than the angry poor. The 2010 report I wrote entitled “Trading Down” predicted that inequality would grow and recommended certain investments that would profit from helping the poorer portions of the global population. These investments have done very well over the past five years. A Wall Street Journal article “Two Tier Economy Grows” (2) explains why these investments have prospered. The article tells how the emergence of a two-tiered U.S. economy, with wealthy households advancing while middle-and lower-income Americans struggle, is reshaping markets for everything from housing to clothing to groceries to beer. Here is an excerpt: “It’s a tale of two economies,” said Glenn Kelman, chief executive of Redfin, a real-estate brokerage in Seattle that operates in 25 states. “There is a high-end market that is absolutely booming. And then there’s everyone in the middle class. They don’t have much hope of wage growth.” The recession blew holes in the balance sheets of all U.S. households and ended a decades long loosening of credit for middle-class borrowers. Now, credit is tight, and incomes have been flat or falling for all but the top 10th of U.S. income earners between 2010 and 2013, according to the Federal Reserve. The 2010 report “Trading Down” suggested investing in good value US real estate and in businesses that reach the high end or the very low end of the market. I put my money where my pen was and have been accumulating good value (I hope) Smalltown USA rental property. My thinking was that existing property could be purchased for far less than built new. That prices were good value by US standards and incredible value by international standards. Rental property made sense to me because it generated good income and had good appreciation potential. If markets recovered, the real estate would rise in price. If the market did not recover, the demand for rentals would remain strong. Thus far this strategy has worked well for me. All the properties are rented, plus resale prices have risen and the super strong US dollar creates extra profit in international terms. 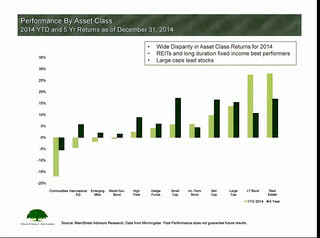 The chart below from Mainstreet Advisors shows that real estate in 2014 had a very good year as the best performing asset sector. Now a new pattern is emerging and we are making shifts in our portfolio again. To help you understand how to earn from the trading down phenomenon and the new economic pattern that’s brewing, I have consolidated the seven part “Trading Down” series and you can read it free by clicking here. Merri and I look forward to riding round the next bend with you!